Ousedale is a foundation mixed comprehensive with a campus in Olney, and another in Newport Pagnell. Boys and Girls from 11-18 attend. 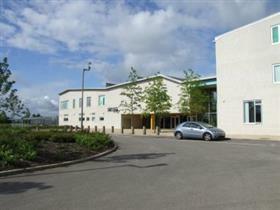 Olney is a new purpose built campus with just under 500 pupils. There is a popular 6th form. Ousedale is a specialist Technology College though it apsires to providing an excellent education in all areas of the curriculum. This is a snapshot of the school - more can be found on its website, or on the Direct gov. school finder site.